Chiropractors use the same textbooks in school as medical doctors, but somehow they know different things about the body. 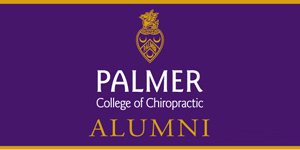 Both medical and chiropractic doctors go to school for the same amount of time. Both have an internship with rounds that are supervised by experienced doctors with a lot of wisdom. So what are some of the things Dr. Sweeney knows about neck pain that your medical doctor may not know? When a patient has whiplash after a car accident, chiropractic manipulation along with other painless methods of healing over a period of time will give you more of a fighting chance to recover completely. The spinal decompression that Dr. Sweeney does is totally different than the decompression performed under anesthesia in the operating room. 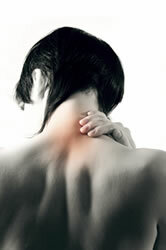 Because of the non-surgical method chiropractors use, the compression on the nerves or discs will be release gradually. This non-invasive treatment will alleviate pain without the side effects of medications. Your chiropractor also knows that it’s possible for patients to use a minimum amount of painkillers during their convalescence if they are getting chiropractic care in Nashville. Dr. Sweeney also knows that something as simple as a poor sleeping posture or office chair could be enough to slow down your progress for getting well. That’s why he’ll instruct you on proper posture. You’ll sleep more soundly and work more efficiently when your neck isn’t rotated or turned in a way that worsens your condition. Do you want to know more? You don’t have to suffer as long and as much and can begin your healing today. Give our Nashville office a call now.